Saloons were home to a wide range of activities besides drinking and eating. Patrons smoked and gambled, and poker was not the only option. Diversity dominated the spectrum of saloons, both in what people did for amusement as well as who they were. Men, women, and children were all found in saloons at one time or another. In addition, each ethnic group had places of leisure where they could retreat from the pressures of the day. The foreign-born dominated Virginia City. People defined themselves and others according to their origins. Some of this was good natured, but it often assumed racist, hurtful forms. 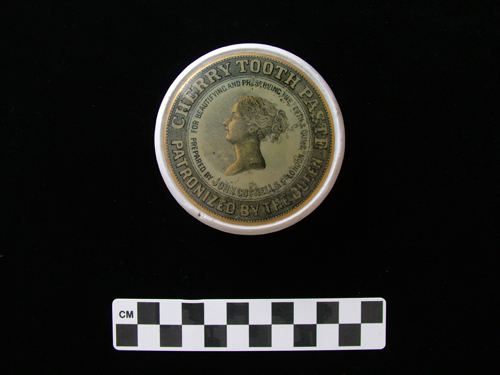 Among the artifacts collected from the four saloon sites were a few items that people may have regarded as ethnic. 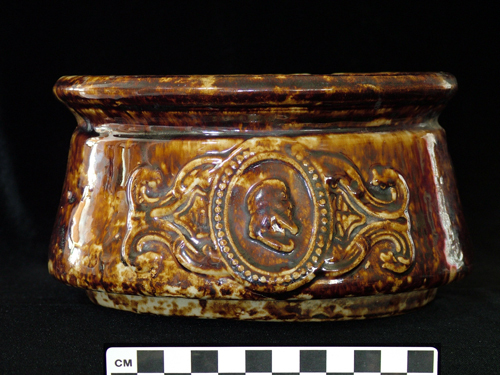 Given the importance of race and nationality, the scarcity of these artifacts is surprising. 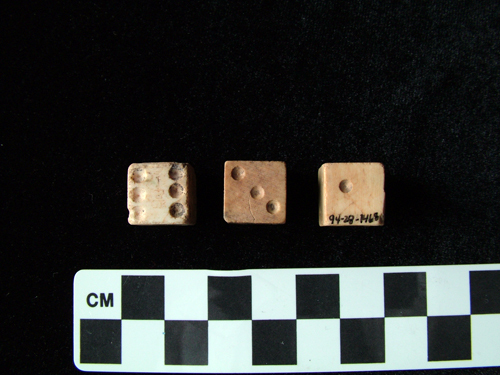 Once retrieved, archaeologists faced a central question: Were these items used in a way that people would have regarded as ethnic? Sometimes that question must be left unanswered. In the nineteenth century, pipes were one of the more popular ways to enjoy tobacco. 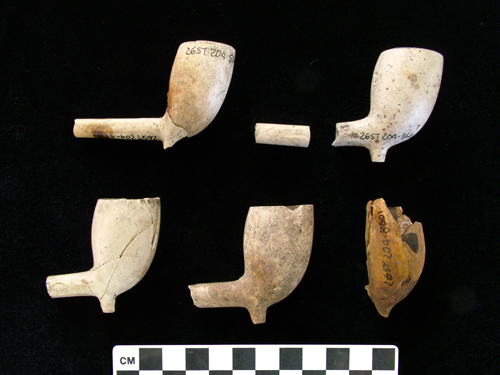 Mass-produced, plain, white clay pipes from Glasgow litter nineteenth-century archaeological sites throughout the West. 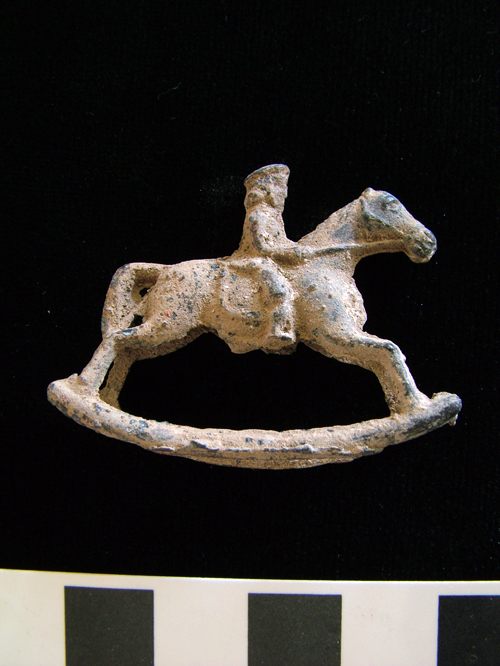 Red clay pipes are unusual in western sites. 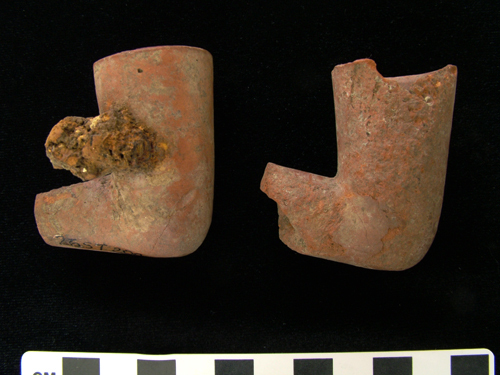 These were found at the Boston Saloon and are reminiscent of pipes found in African American sites in the south. The large bore accommodated a reusable stem. 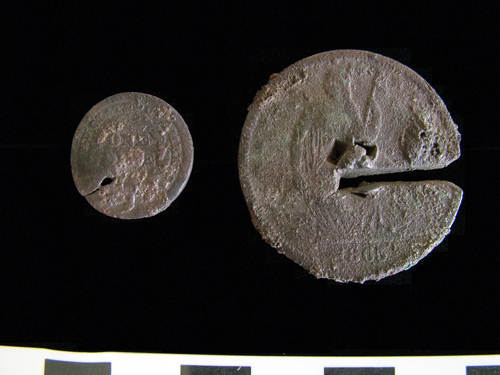 A mutilated half dollar and dime buried beneath the floor boards at the Boston Saloon are similar to artifacts found beneath slave quarters in the south. West African traditions including protecting a building by burying mutilated coins beneath the floor. The fact that this tradition also appears in the south indicates this Virginia City manifestation was indeed an African American tradition. 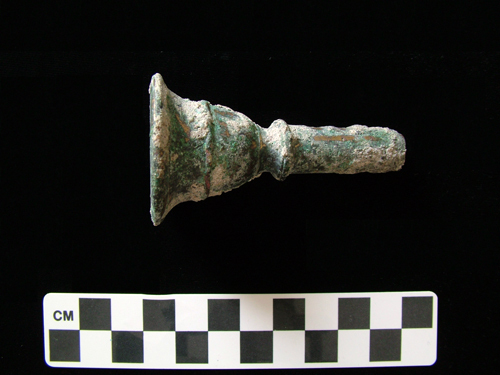 A trombone or baritone mouthpiece from the Boston Saloon recalls an African American brass band that performed in Virginia City. Part of the stereotype of the saloon of the Wild West was gambling. 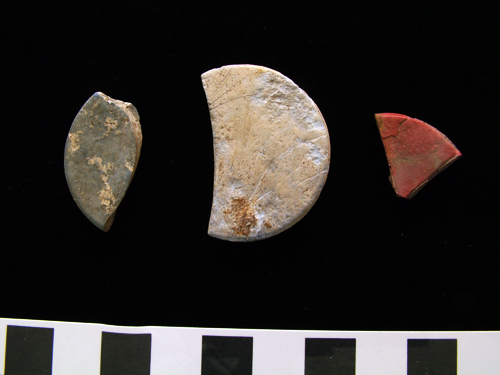 Poker chips fit in with cliché, and archaeologists found them at each of the sites. Die were also common, but how people used them remains a question. They were present in each of the saloons. These are from the Hibernia. Toys suggest the presence of children. They were common at the Hibernia Brewery and Saloon. Toys from the Shooting Gallery and Saloon site were probably actually from activity along a neighboring alleyway. Toys were less common at Piper's Old Corner Bar and at the Boston Saloon, but the fact that they were found virtually everywhere reminds us that young people were a constant presence in the community. 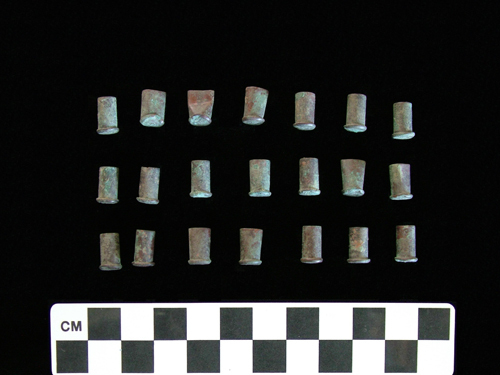 Archaeologists found hundreds of cartridges and bullets at the Shooting Gallery and Saloon. Many of the cartridges were "stubbies," which stored less powder, decreasing the velocity of the bullet and its effect if anyone was accidentally shot. Combining target practice and drinking may seem strange to people today, but it was a common distraction in nineteenth-century Virginia City. 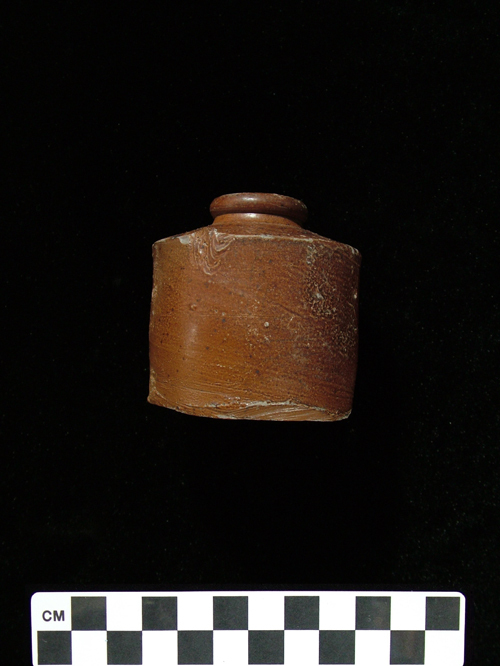 Ink bottles were common to saloons, these coming from the Boston and the Hibernia saloons. Were they only for the owners or patrons as well? Some questions remain unanswered.